This week, lots of things! 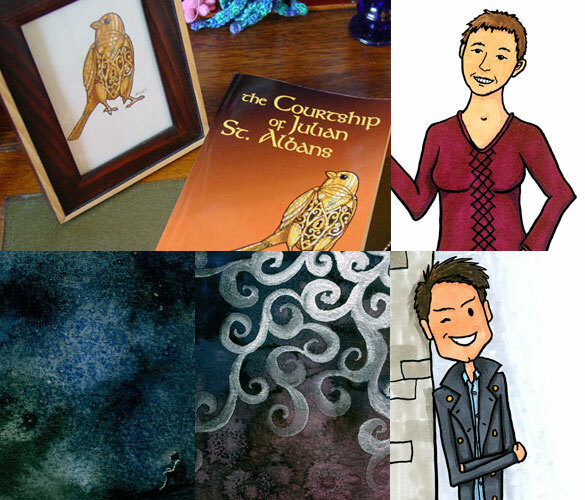 Monday I posted art from the cover of my new novel, wot I self-published myself and stuff, and Tuesday I posted a giveaway of one hard copy of the book, so if you haven’t commented there you should! 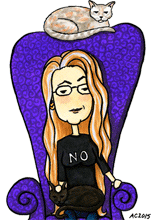 Wednesday the wonderful Jo VanEvery agreed to talk about how she uses my illustrations in her business. Thursday we gazed up at the Milky Way, and Friday there were mysterious silver swirls. Saturday Captain Jack Harkness came along to cheer us all up, and now it’s time for a sketch! 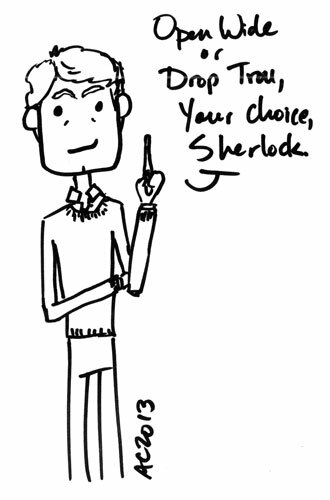 John Watson reminds Sherlock he’s a doctor, and is not putting up with any of Sherlock’s whinging about being sick. He’s got no problem doing this the hard way.